“Blobby” design. My main reservation with NA is that the game is ultimately about growing big1. 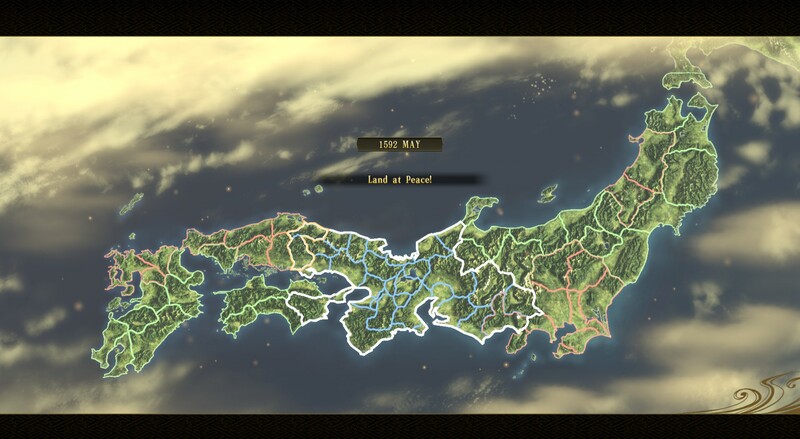 The victory condition is to control a certain proportion of the map2, bigger empires can support bigger armies with no downside, and there are no late-game curveballs along the lines of the space race in Civilization or realm divide in Shogun 2. So the big get bigger, the small stagnate or are eaten up, and I snowballed until I controlled enough of the map to win. * Routine management, such as whether to prioritise agricultural, commercial, or military development in each city. I automated this fairly early on. From a design perspective, a game without automation would probably abstract some of these tasks. * Less routine decisions, such as which building should go into which slot. At first, I micromanaged these. Late in the game, this became so much work that I took my chances with the AI. 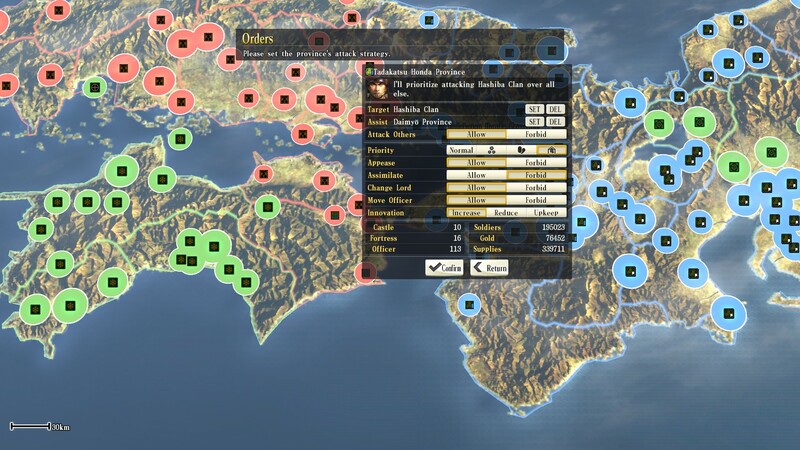 * Assistance with military campaigns: with a few clicks, multiple armies can be sortied against a target. This was invaluable; I usually supplemented the AI by manually ordering my “spearhead” armies. * Managing entire regions. Mandatory on the default settings — the player can only manage cities within a certain radius of the capital3. Provincial regents can build up cities, assign characters4 and embark on campaigns; the player chooses which cities to assign to the province, and sets targets for the regent to attack. The results were impressive. I lent a helping hand by directing Honda against a couple of cities and calling in allies to attack the Mori from behind. The AI handled the rest, fighting across multiple fronts and scooping up targets of opportunity. You could almost say Honda drove the enemy before me. Is there more room for automation in strategy games? The conventional answer would be “no”; I once quoted the dictum that if something is so tedious that it should be automated, then it shouldn’t be in the game at all. After playing NA, I’m not so sure. Yes, it’s possible to design elegant, low-micromanagement systems that scale gracefully between early and late-game empires, but how often do developers actually achieve that? Automation may smooth that transition, allowing the player to focus on the big picture while delegating details to the AI. In practice, I don’t expect it to catch on: Hearts of Iron 3 marked the high water mark of automation in Paradox games, and neither Firaxis nor Creative Assembly has shown much inclination to move down that path. Nonetheless, games such as NA and, before it, Distant Worlds highlight the potential.